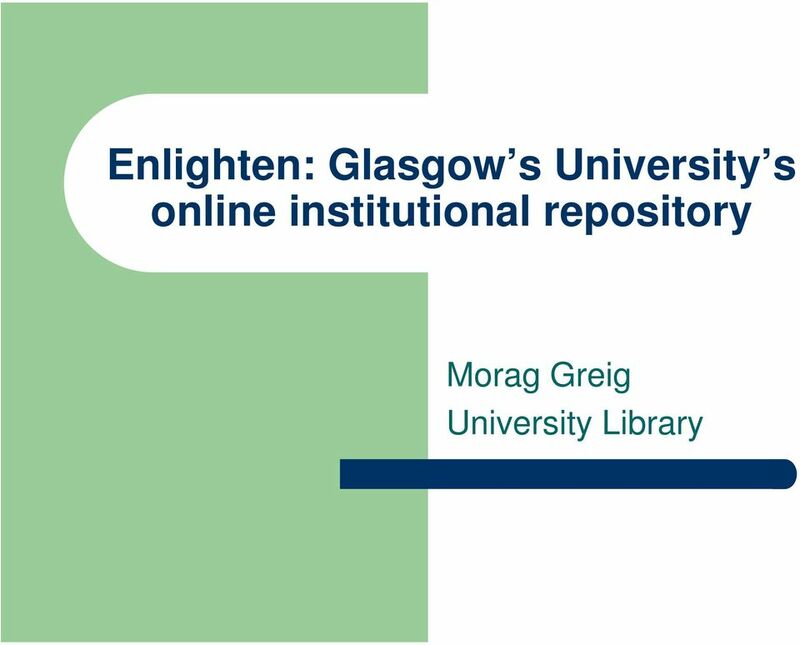 Download "Enlighten: Glasgow s University s online institutional repository. 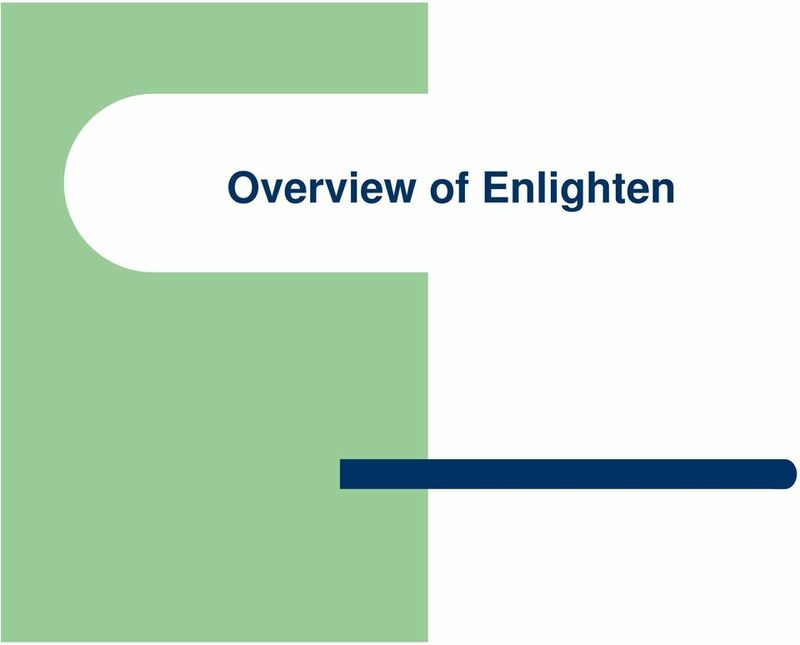 Morag Greig University Library"
2 Outline What is Enlighten? 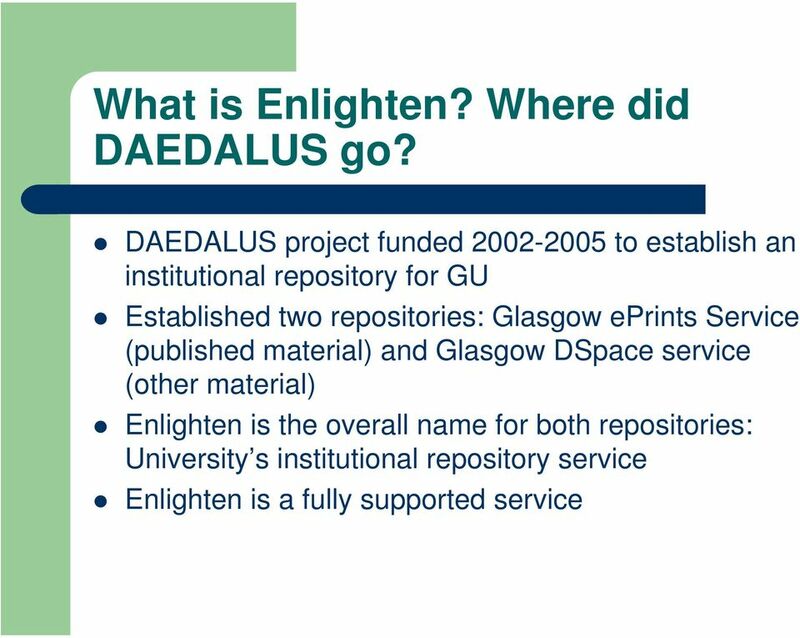 Where did DAEDALUS go? 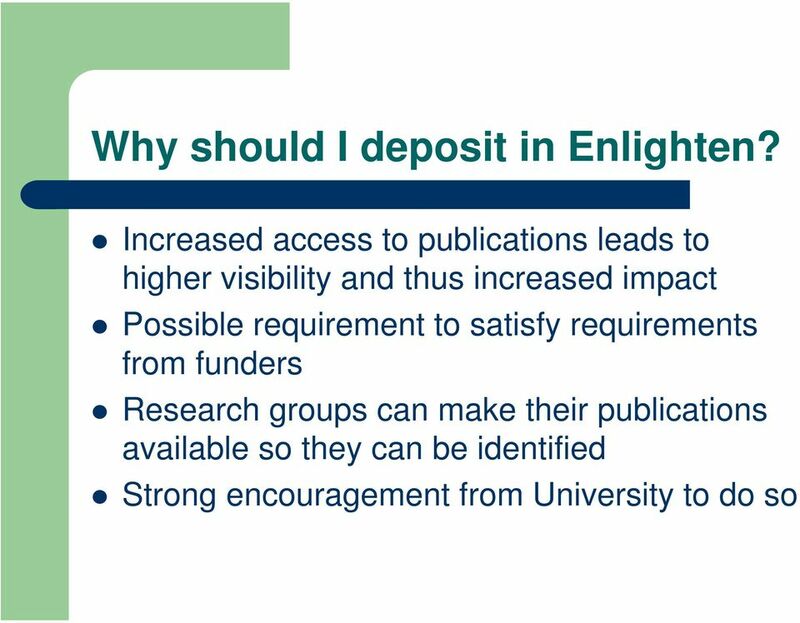 Background to repositories and open access Why should I deposit in Enlighten? 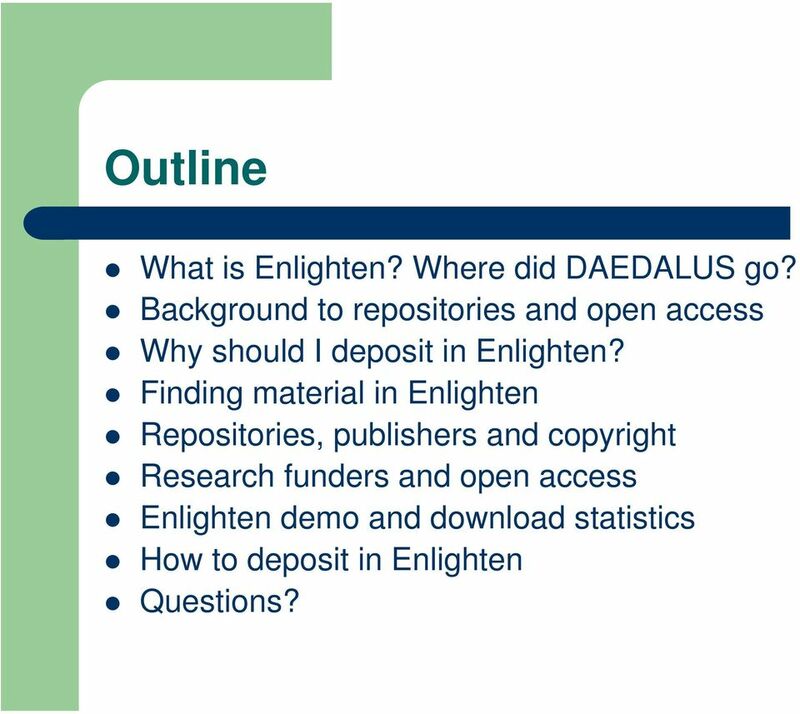 Finding material in Enlighten Repositories, publishers and copyright Research funders and open access Enlighten demo and download statistics How to deposit in Enlighten Questions? 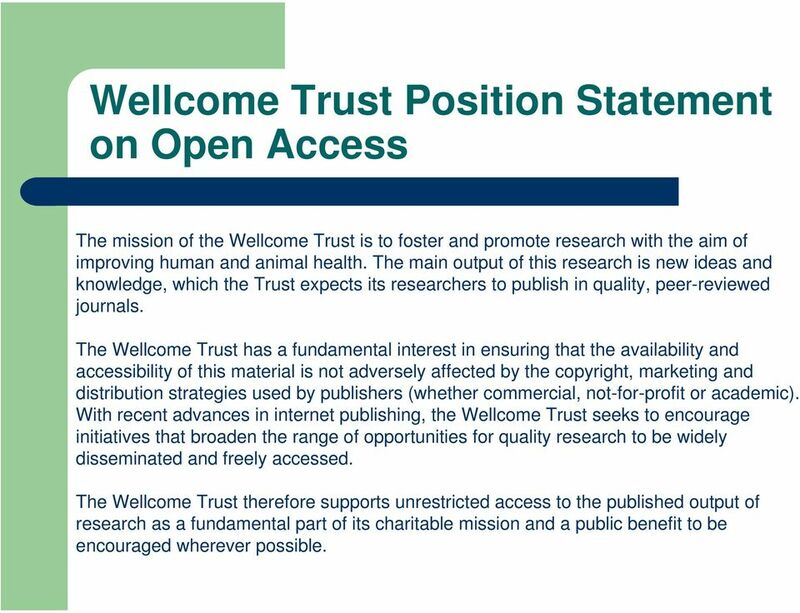 7 Wellcome Trust Position Statement on Open Access The mission of the Wellcome Trust is to foster and promote research with the aim of improving human and animal health. 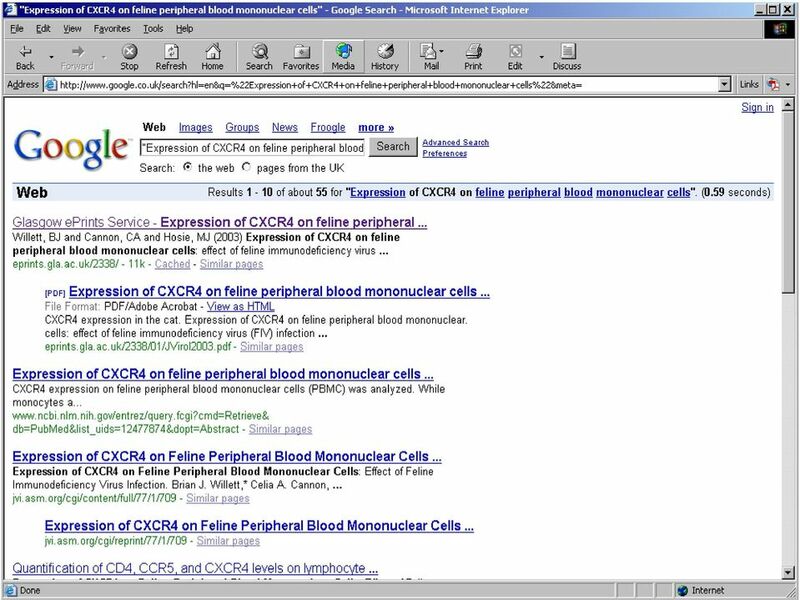 The main output of this research is new ideas and knowledge, which the Trust expects its researchers to publish in quality, peer-reviewed journals. 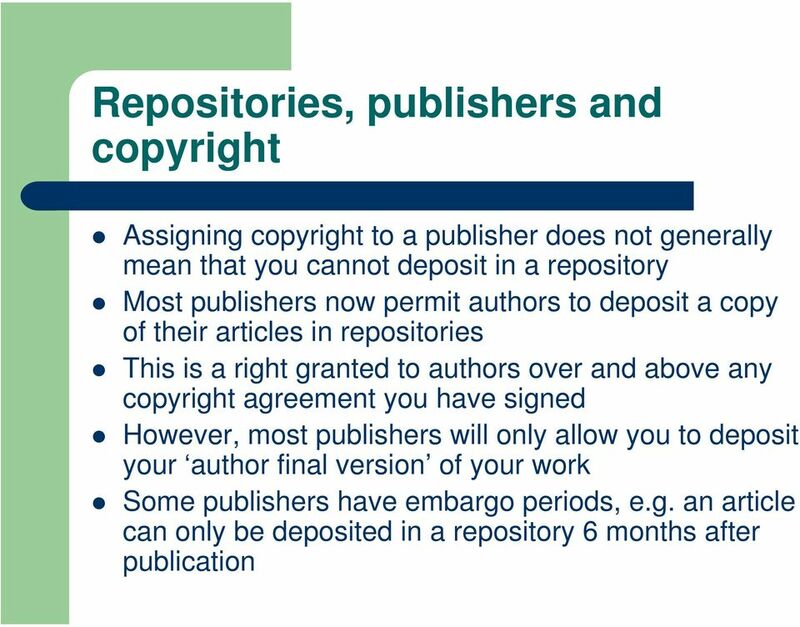 The Wellcome Trust has a fundamental interest in ensuring that the availability and accessibility of this material is not adversely affected by the copyright, marketing and distribution strategies used by publishers (whether commercial, not-for-profit or academic). 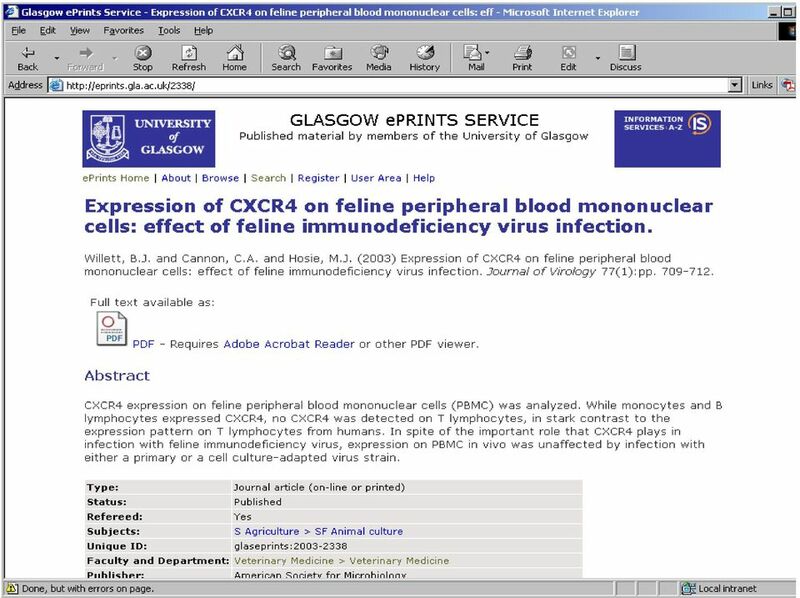 With recent advances in internet publishing, the Wellcome Trust seeks to encourage initiatives that broaden the range of opportunities for quality research to be widely disseminated and freely accessed. 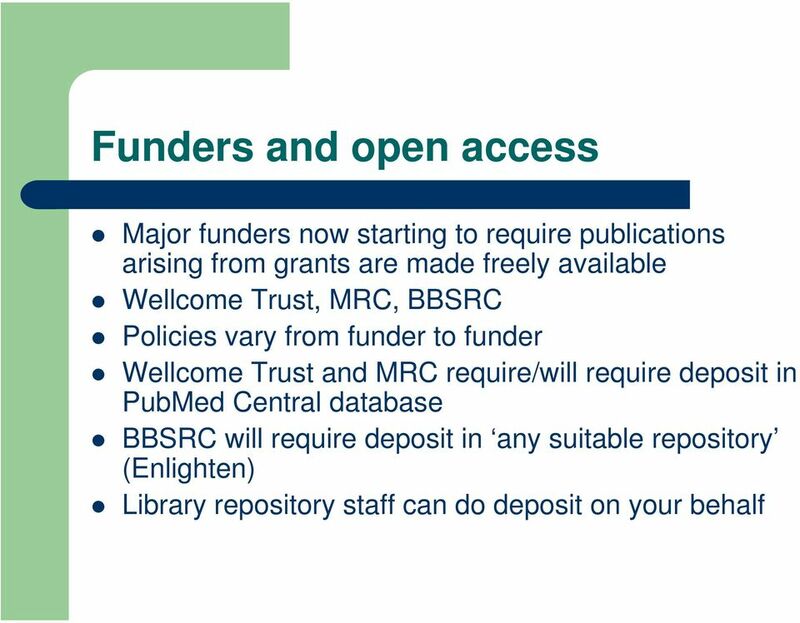 The Wellcome Trust therefore supports unrestricted access to the published output of research as a fundamental part of its charitable mission and a public benefit to be encouraged wherever possible. 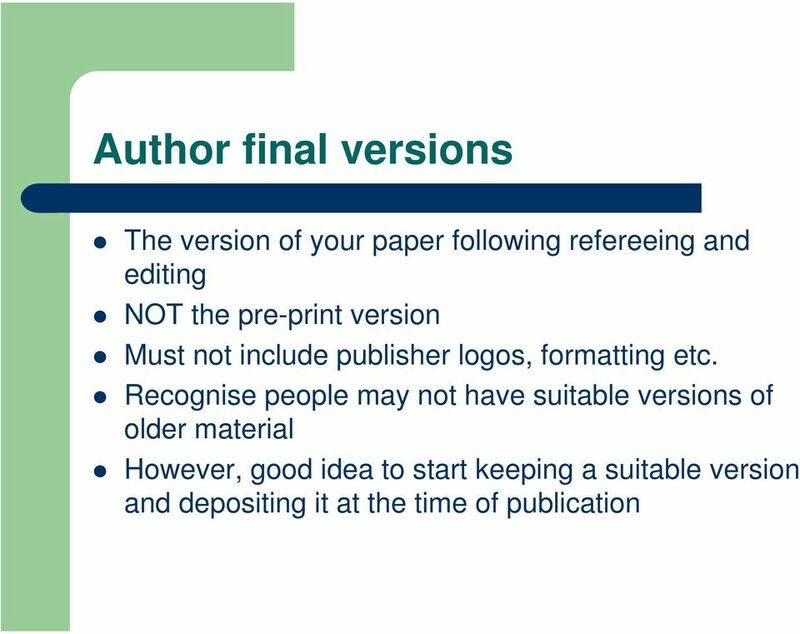 Green, Blue, Yellow, White & Gold A brief guide to the open access rainbow. 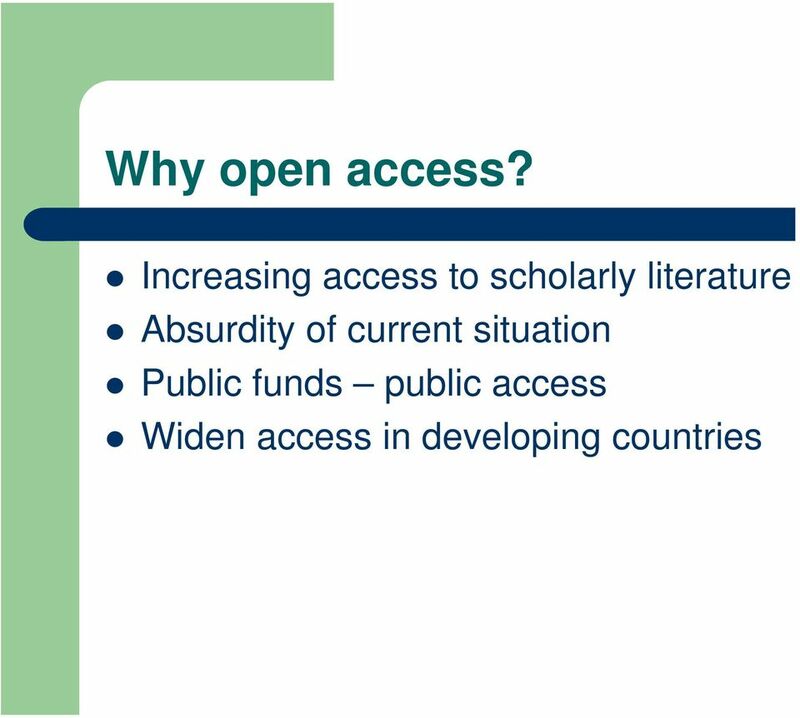 SPARC Europe in the Open Access Movement: A Master Plan to tackle the barriers? 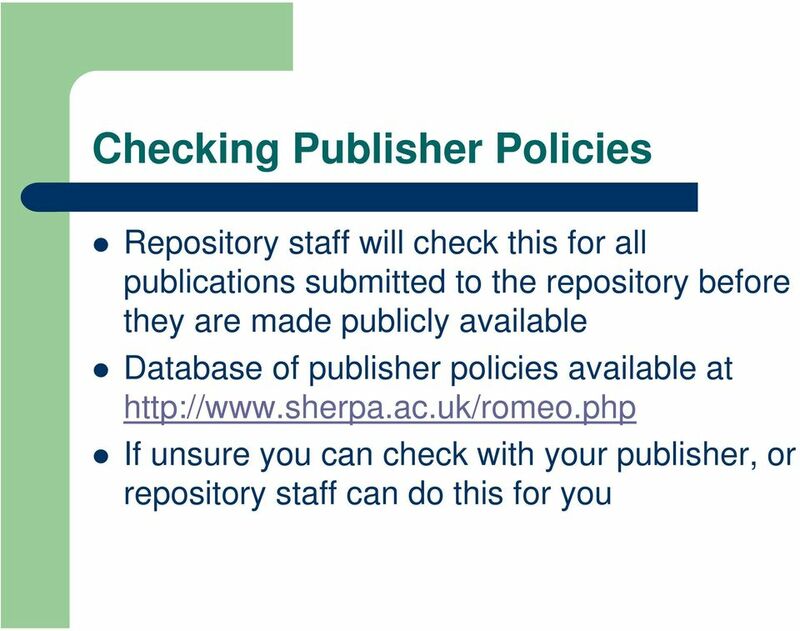 Open Access and Data Management Policy (the Policy) FAQs. 1. 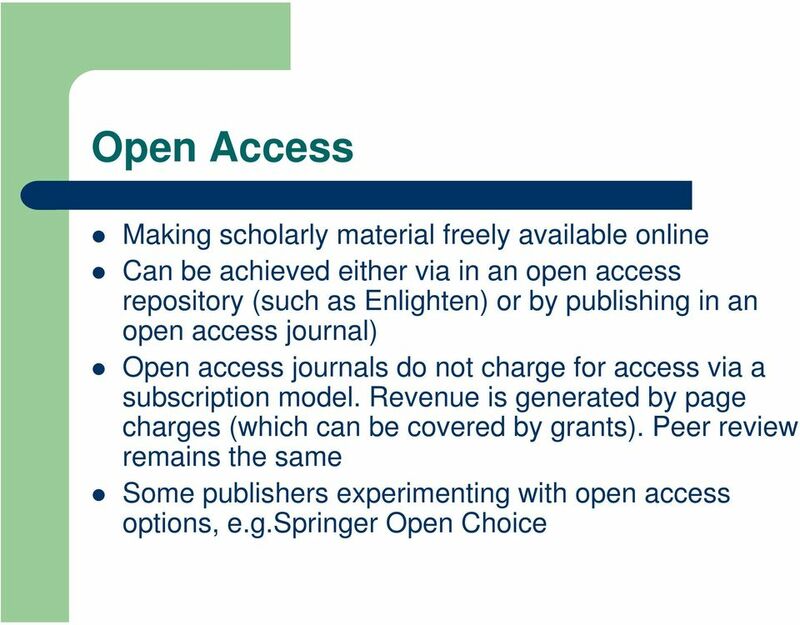 What is open access? 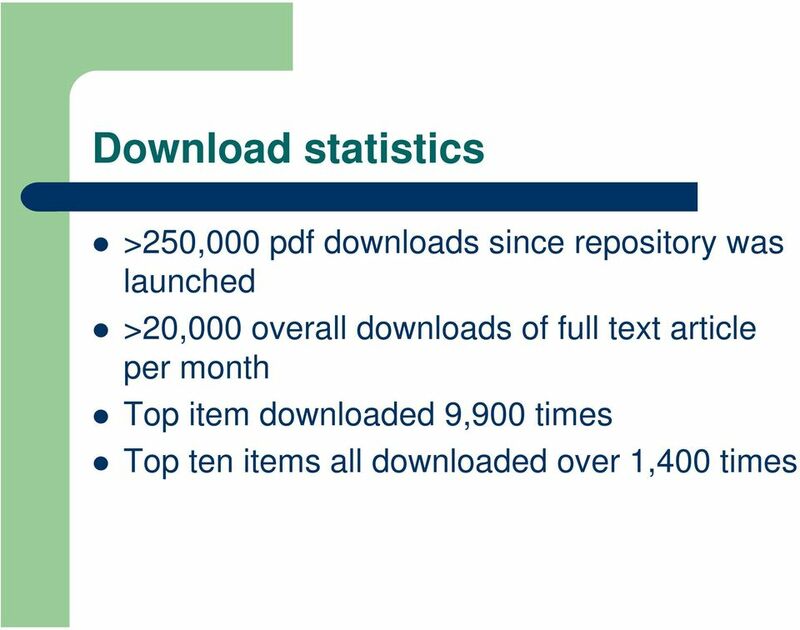 Upload Your Culminating Project to The Repository at St. 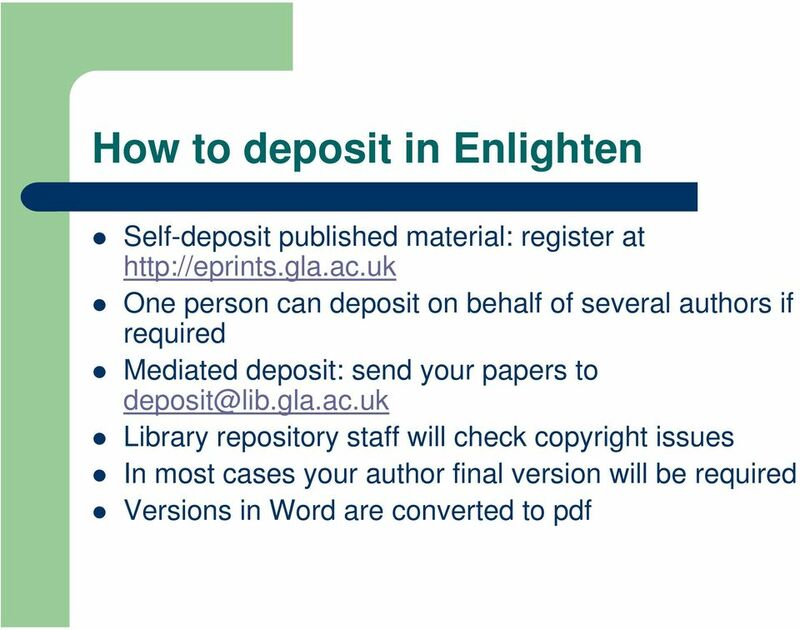 Cloud State University There are two parts to uploading your culminating project (starred paper, thesis, or dissertation) to The Repository at St.
A grant number provides unique identification for the grant. 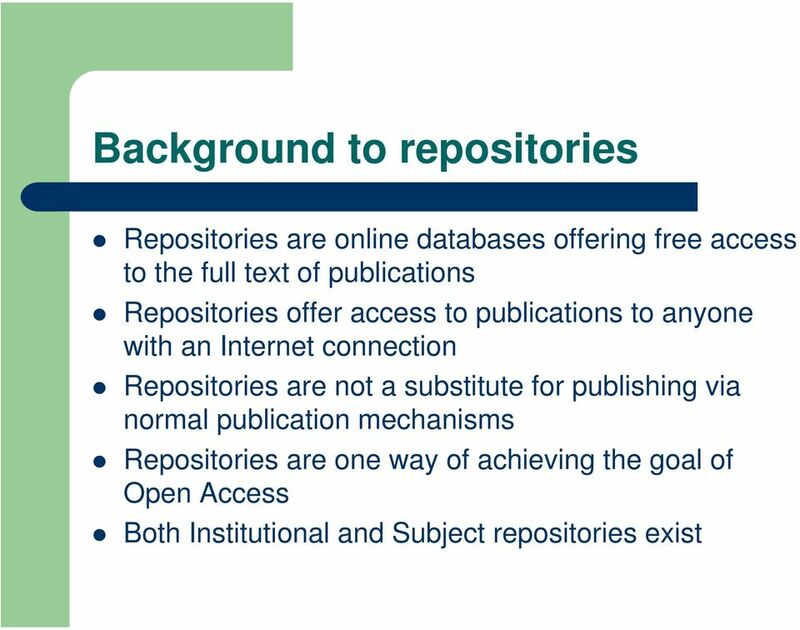 Loughborough University Institutional Repository IPR issues facing open access This item was submitted to Loughborough University's Institutional Repository by the/an author. 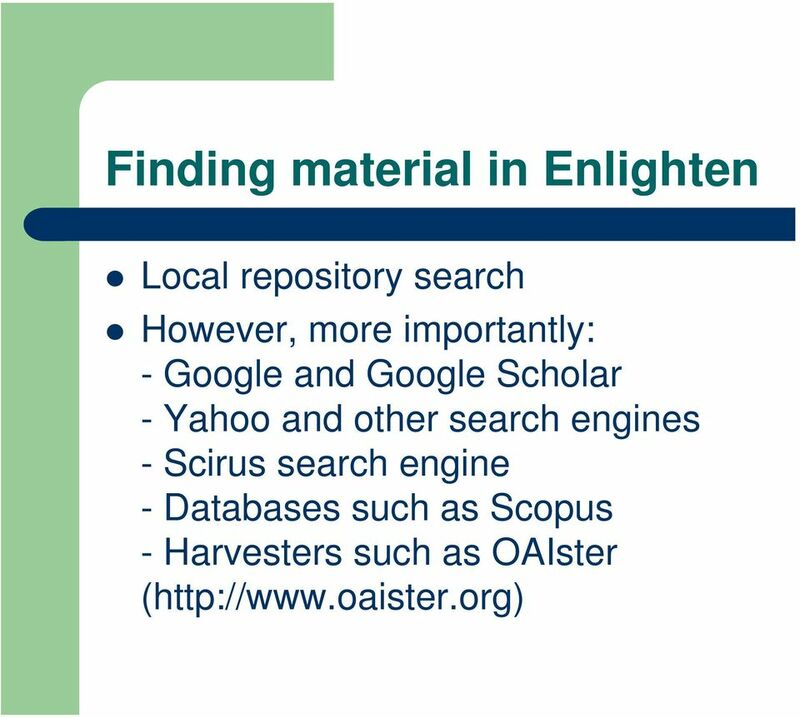 Citation: GADD, E., 2003. 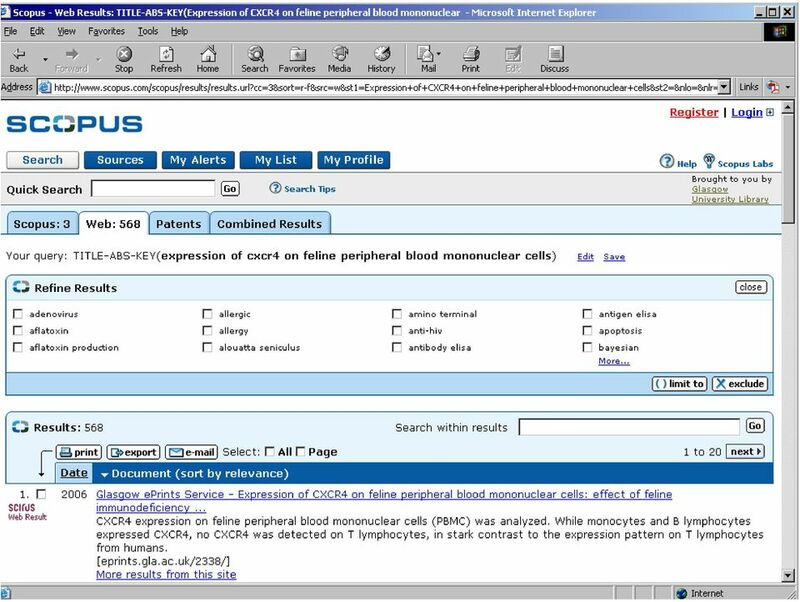 Research information meets research data management... in the library? 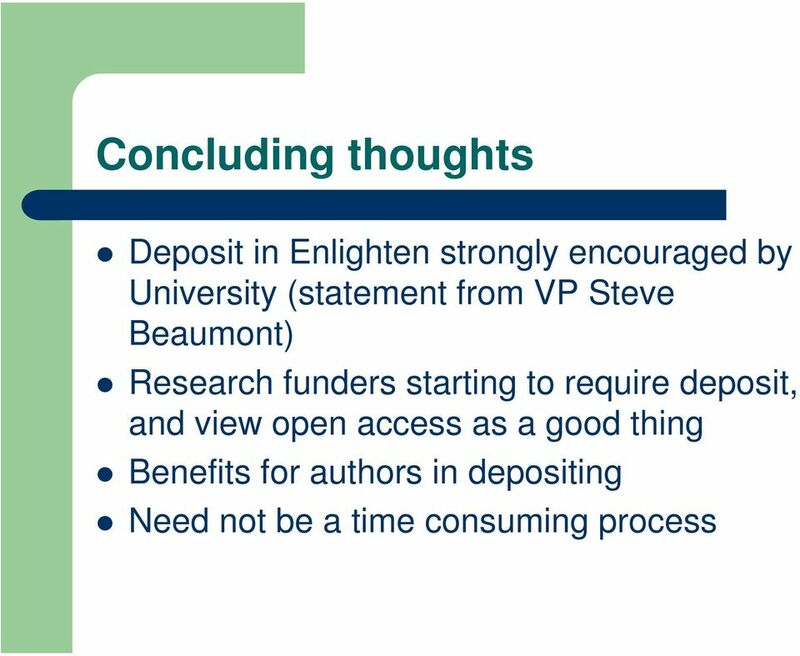 Definitions used in these Grant Conditions can be found at paragraph 13.